Although you might think this App is of no interest to you, read on for thirty seconds before making up your mind. 1. You are not in your "home" country and therefore cannot access certain services, such as BBC iPlayer, ITV Player, or a multitude of other sources. 2. You want to 'cloak' your location, so that people cannot tell where you really are. If they care to use a bit of detective work, they will think they know where you are located but, it will in fact be where you have chosen to point them. Both these can be genuine reasons for using VPN One Click. VPNs (Virtual Private Networks) could be assumed to be the domain of technical experts; VPN One Click changes that and makes it über simple to use. ... and 'Random' where you will change location each time you log in. All you need to do now is turn the VPN option to 'On'. That really is all there is to it. 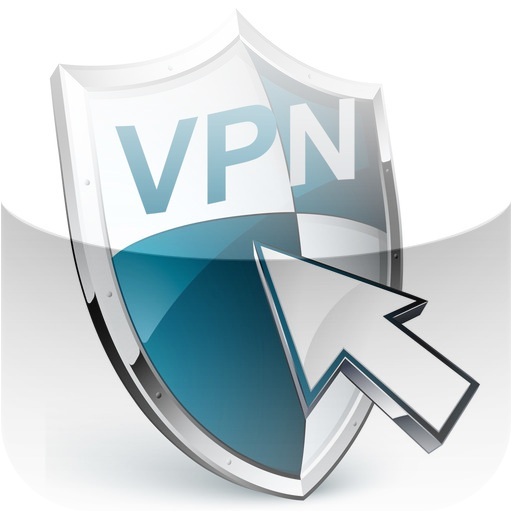 You will be comforted by a VPN Icon, just to the right of the signal strength meter at the tip of your screen, which will confirm that you are using VPN. You can also seek further comfort by going back to the App and checking your current IP address. Turning VPN off will revert to your ISP provided address. There is a fully functional one week free trial. After that there is either a modest monthly fee, or an annual charge equivalent to the price for ten months. The code can be used across all your devices, with no further payment. This depends on your personal circumstances. If you find yourself denied access to certain services then, you will wish to have this App. The service seems to work without hiccup. It is worth remembering though that if your Internet connection is not reliable, this will not alleviate that issue. This is the case, for example, in many hotels where the Wi-Fi seems to be provided more so as to be able to say that the service is available, rather than as a properly usable connection. The point is that enabling VPN actually enhances your security and you do not share any information with the provider as the purchase is made in the AppleStore, without any further account set-up. You can get VPN One Click here and support for the App here. - improved integration with Voip One Click. The developer advises that there has been an update to version 2.1 of the App. - bug fix for iOS7. if the expiring date after iOS 7 update is wrong or missing, tap on "Settings", "Vpn" and on the "i" char of any vpn. Copy the account name and paste it in the download section of the app, it will update the expiring date. The developer advises that there has been an update to version 2.11 of the App. The developer advises that there has been an update to version 2.12 of the App. The developer advises that there has been an update to version 5.1.0 of the App.